It is somewhat mystifying that Dr. Rafik Benaissa, brother of former SNC-Lavalin executive Riadh Ben Aissa, has launched law suits alleging that the Globe & Mail and La Presse published defamatory articles linking him to the SNC-Lavalin scandal. Specifically, Dr. Benaissa – who compounds “Ben Aissa” when spelling his name – is arguing that by mentioning his company, Benaissa Oil, in an article referencing the scandal, the newspapers were inferring some kind of relationship where none existed. The suits against the Globe & Mail and La Presse were filed in the District of Montreal-Quebec Superior court for $10 million and $5 million respectively. (Quebec Superior Court file number 500-17-073048-129 and 500-17-073214-127). In announcing the suits Dr. Benaissa, a Canadian orthopedic surgeon who works for Trinity Health in Minot, a small town in Northwest North Dakota, said that "Such allegations are false and Riadh Ben Aissa is just a hard working employee, but especially a scapegoat of a political change where SNC-Lavalin intends to keep its multi-million dollars interests in Libya" (sic). Benaissa takes issue with both newspapers mentioning his own company, Benaissa Oil, which is involved in oil exploration in the Middle East as well as the sale of defence equipment. Benaissa Oil has had as its mailing address the same building in Tunis where SNC-Lavalin’s office was located. But the plaintiff has no links to either SNC-Lavalin or the Ghadafi regime, the lawsuit states. Indeed, it could even be argued that the offending article in the Globe & Mail supports this claim. It appears to be fairly put, and hardly something that would warrant a lawsuit. When Riadh Ben Aissa was dismissed, it was alleged he could have made up to $56-million in improper payments to unknown commercial agents. He was quick to denounce the company, and threatened to sue. Instead, the former executive high-tailed it out of the country. Then in April he was arrested in Switzerland as part of an investigation that began in May 2011 into corruption, fraud and money laundering in North Africa. It is believed that some of the alleged payments may have gone through banks in Switzerland and the Middle East. Riadh Ben Aissa’s brother, Dr. Rafik Benaissa, says he also intends to sue SNC-Lavalin for the harm caused to the former executive and his family. That should be interesting. As it stands, the press and even governments are having a hard time getting anything out of Riadh Ben Aissa, and can’t even locate his former underling, Stephane Roy, who lost his job at the same time. Dr. Rafik Benaissa is a graduate of the University of Ottawa School of medicine, and completed his surgical internship at the Mayo Clinic in Rochester, Minnesota, as well as a residency in Neurosurgery at the University of Ottawa. Another residency in orthopedic surgery was complete at the University of Calgary. "My brother is just an exceptionally dedicated man who accomplished gigantic projects for SNC-Lavalin in the world, projects which have allowed millions of people access to drinking water, and which saved lives,” said Dr. Rafik Benaissa. “Absolutely nothing my brother has done...was unknown to the Board of SNC-Lavalin." That last statement is the kicker. If Dr. Rafik Benaissa is requiring internal documentation from SNC-Lavalin, he’ll have to get in line – last May Rochon Genova LLP launched a global shareholder class action for $1.5 billion against the TSX-listed engineering firm. It alleges numerous securities law violations by its board of directors and officers. The class action suit came after an internal investigation by SNC-Lavalin not only found that $56 million had been paid to unnamed agents in North Africa, but that CEO Pierre Duhaime had approved the payments, which helped secure contracts for two projects. Included in the $56 million was a payment for $22.5 million made through SNC-Lavalin’s office in Tunis. At the same time as the results of the investigation were announced, Duhaime took early retirement. 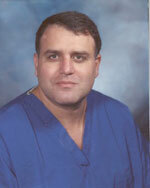 Given than Dr. Benaissa is a Fellow of The Royal College of Surgeons of Canada, and is board certified in the specialty of Orthopedic Surgery, his reputation is of paramount importance, and is tied closely to his brother’s circumstances. How this lawsuit will help to preserve that, given that it may force more information to be revealed on Riadh Ben Aissa and his dealings on behalf of SNC-Lavalin, is yet to be seen. N.B: La politica is researching for a book on SNC-Lavalin. To contribute as a possible source, please use the contact information provided below. If you are having difficulty submitting to the e-mail feed at the top of this page, press "enter" on your keyboard instead of the "submit" button.